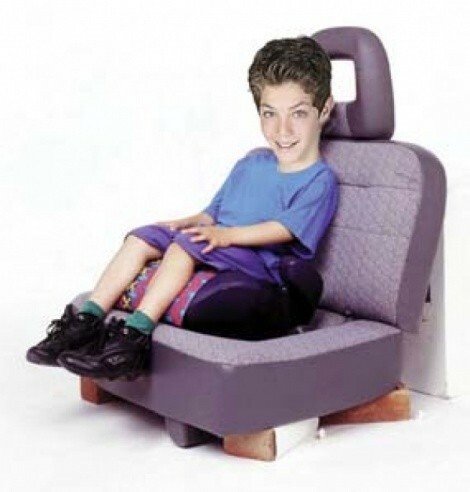 The latest plan to Protect The Children comes from the Safe Kids Utah Coalition, which sent out an April 25 advisory announcing the kick-off of its “Boost Till 8” campaign to raise awareness of a new law that requires kids to use car booster seats until they’re 8 years old. Your second-grader will thank you, particularly when he or she is ostracized for life after the other kids at school catch you strapping him into a booster seat. Yeah, way cool, Mom. Enjoy these years, kids. They’re the best of your life. The Safe Kids Utah Coalition will be giving away 300 booster seats to people with kids and cars on April 26, 10 a.m.-2 p.m., at Rose Park Elementary, 1105 W. 1000 North.